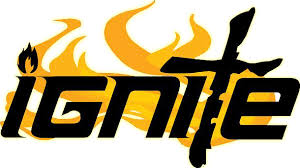 Ignite young adults is a bible study/discipleship ministry geared toward those between the ages of 18 to mid 30’s. We focus on the study of God’s word and how it applies to the fast paced lives of young adults today. We share life stories and create memorable experiences together, resulting in life long relationships. We also challenge one another and hold each other accountable as we grow together in Christ. We use an open table format, so if you have something on your mind, say it. Because that’s what we are here for – to listen and be there for one another. Showing each other how to hear God and obey him.